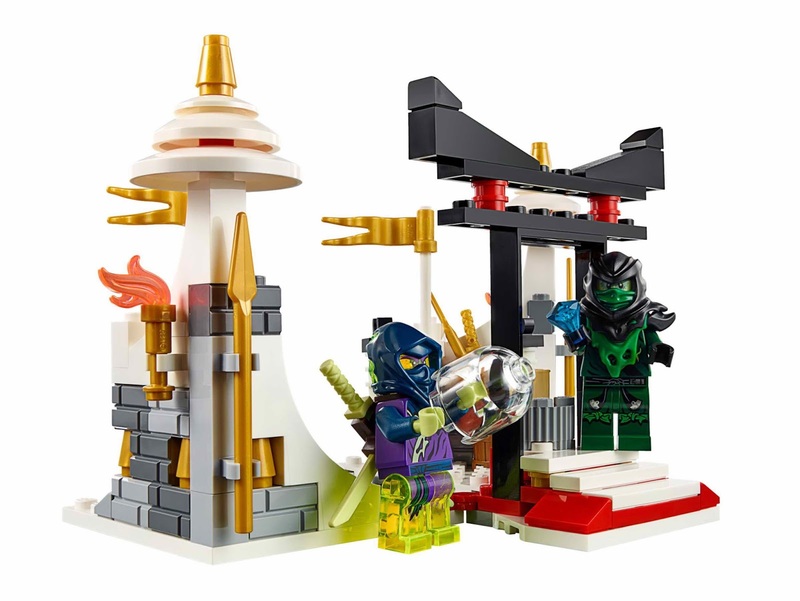 come with a morro dragon and a tomb of the first spinjitzu master. 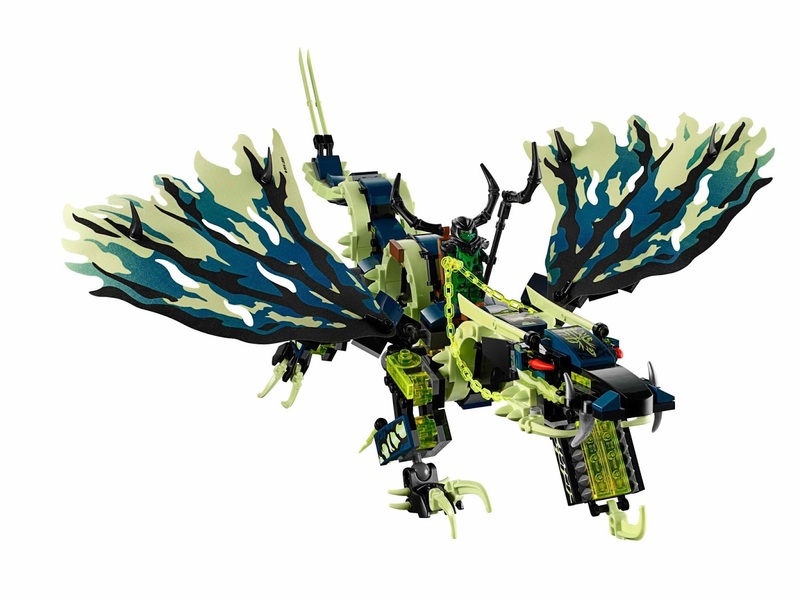 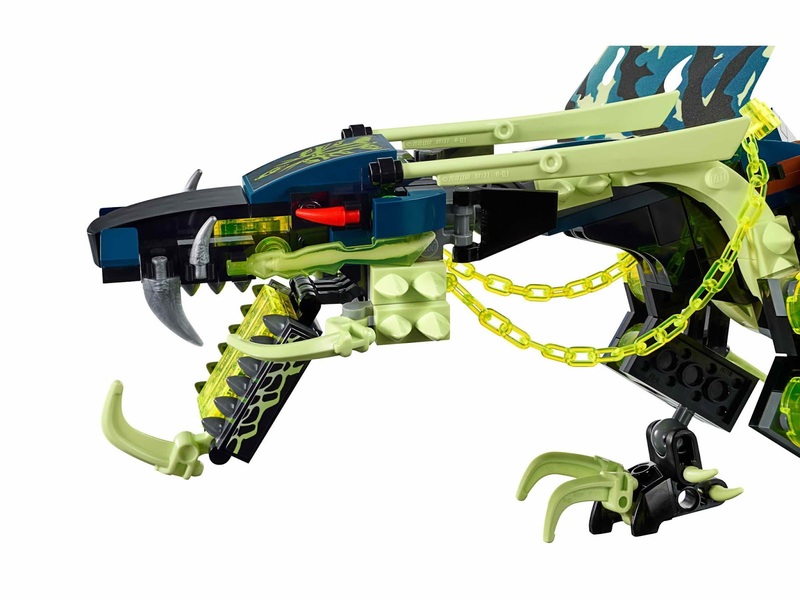 the dragon has a saddle with steering ghost chain, a posable head with opening jaws, big posable fabric wings, posable legs and tail and sharp talons. 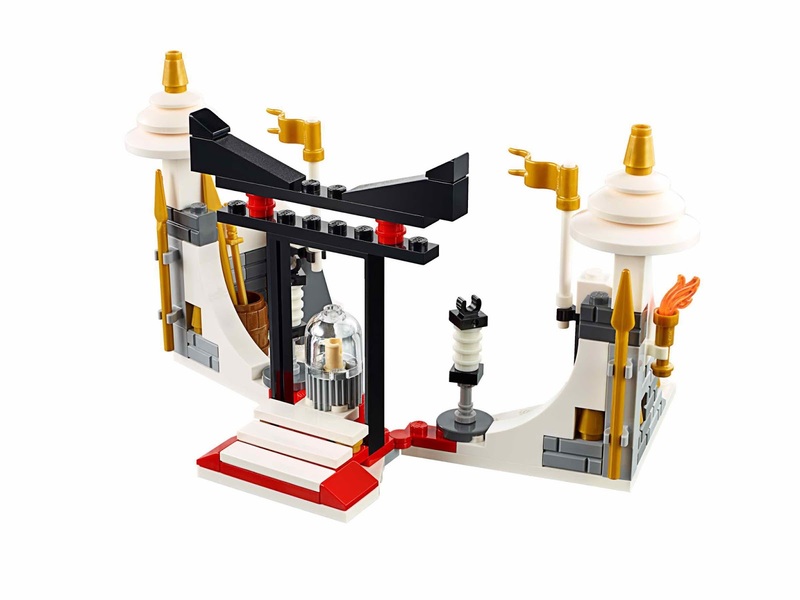 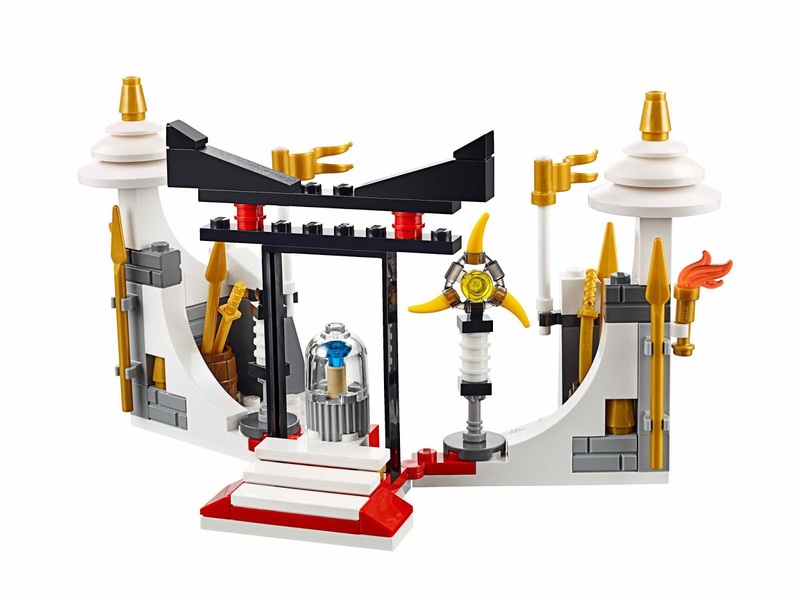 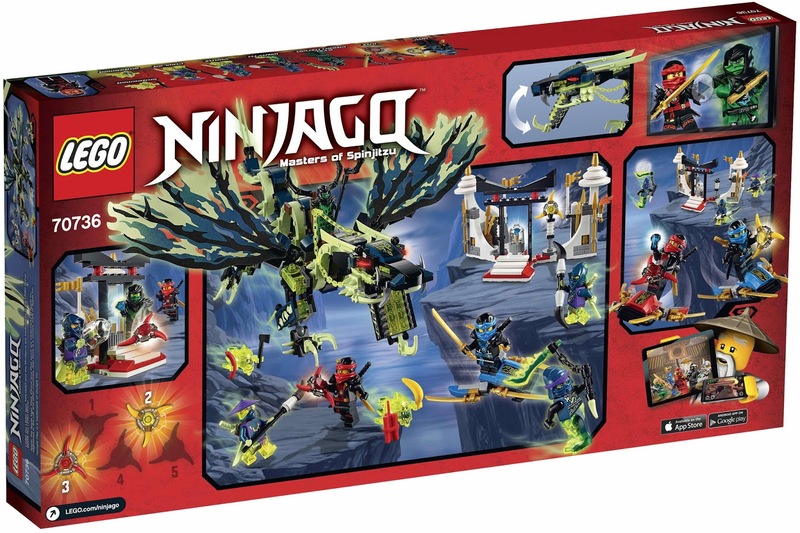 the tomb has a grand entrance, the realm crystal element, 2 aeroblades, 2 katanas, a weapon storage with assorted elements: 2 golden spears, 2 golden flags and 2 torches with transparent flame details. weapons included 2 golden katanas, 2 deepstone katanas, evil green ninja’s ninja staff, wrayth’s ghost master blade on a chain, yokai’s double bladed spear and cowler’s ghost spear. 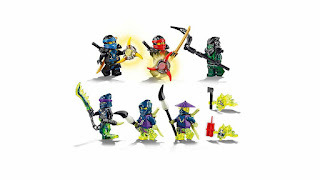 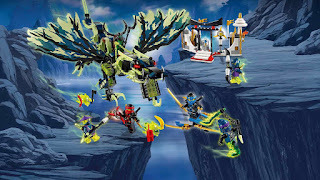 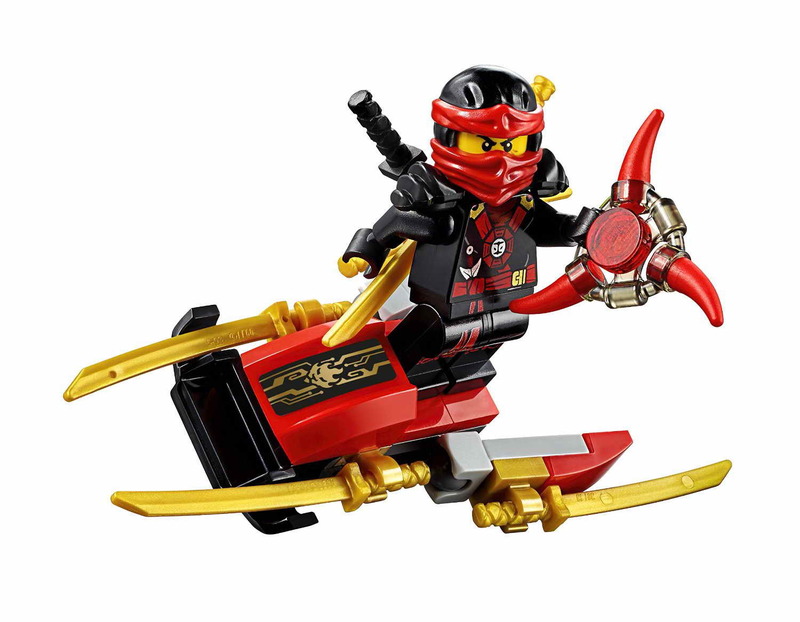 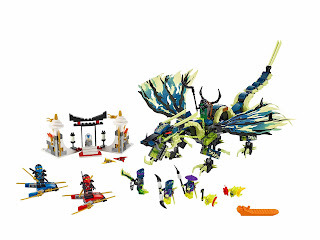 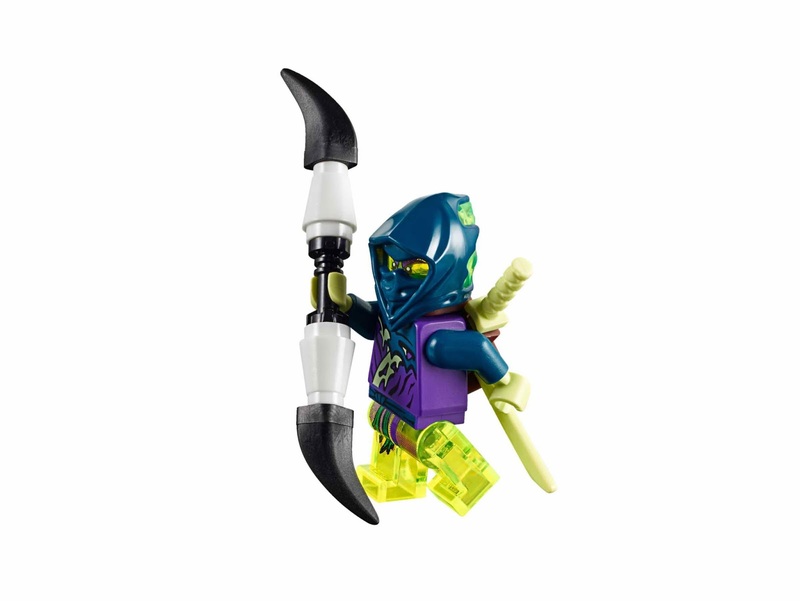 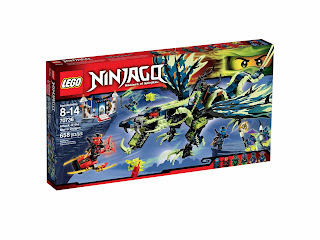 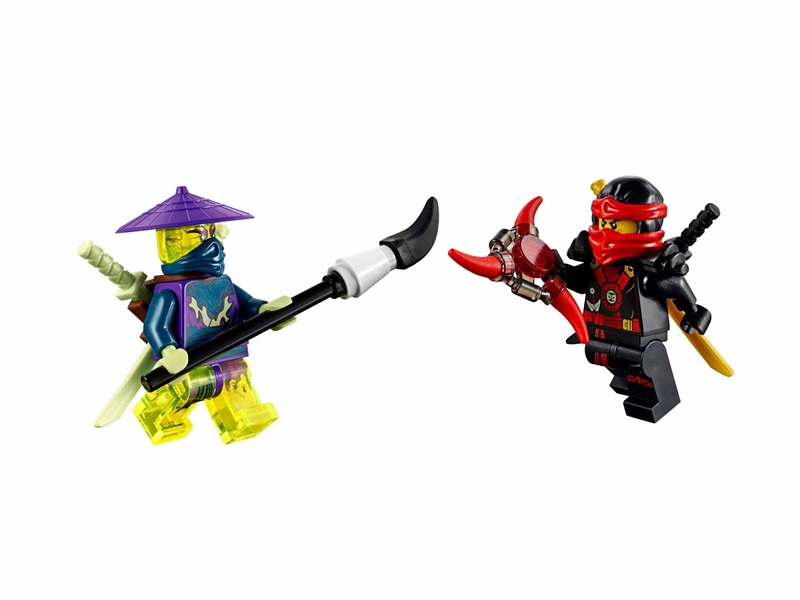 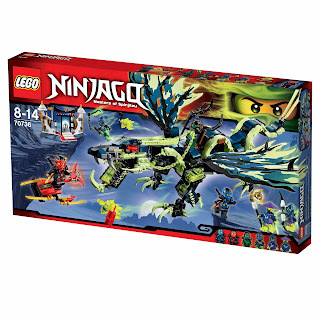 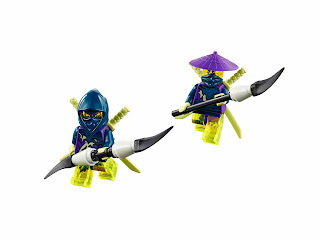 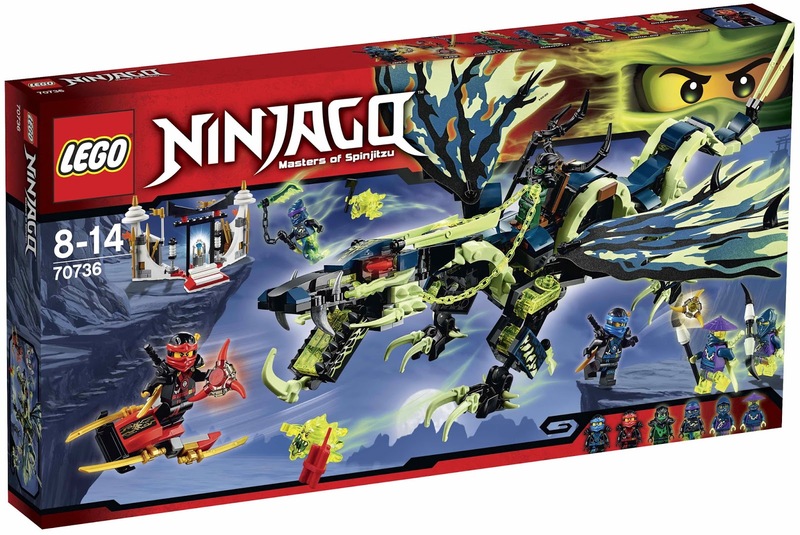 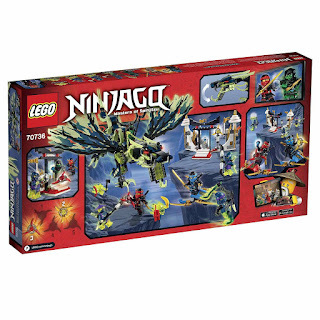 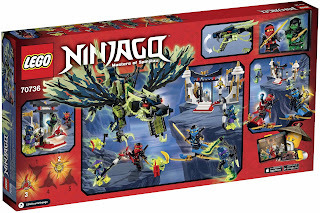 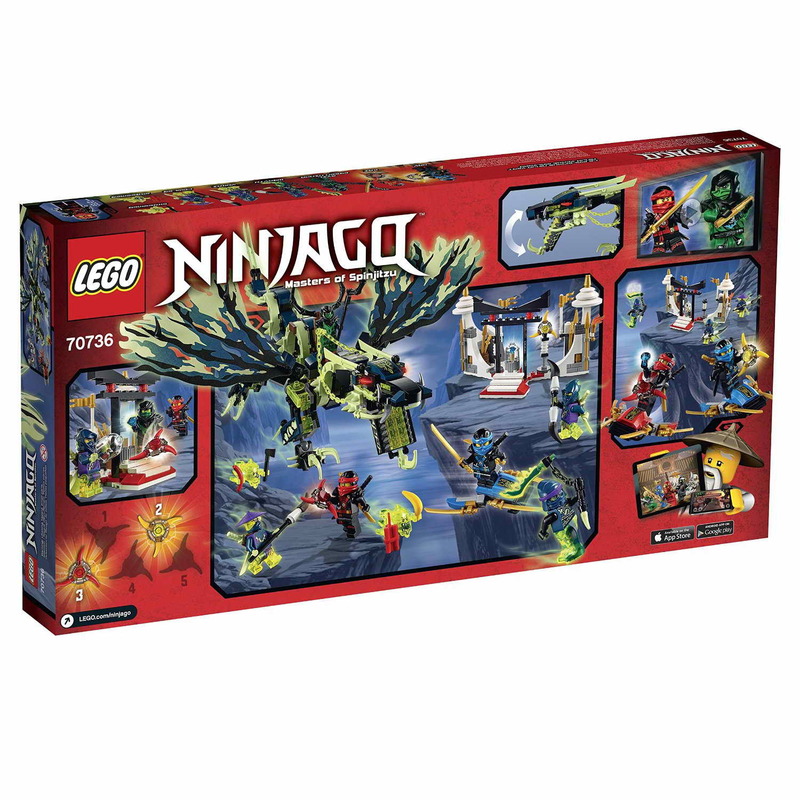 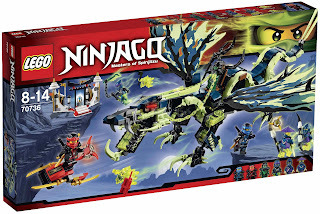 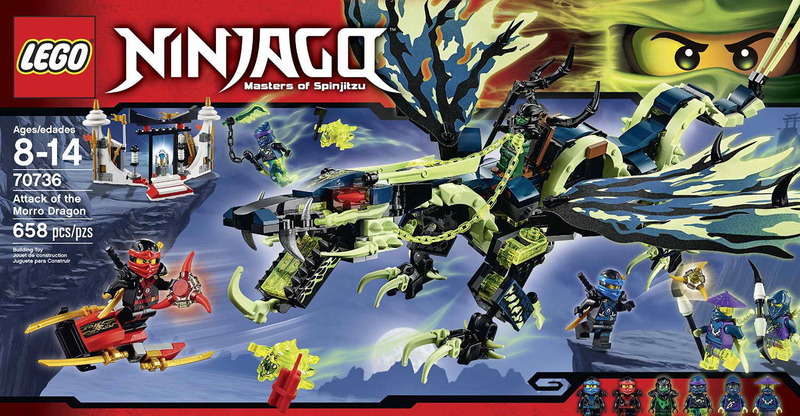 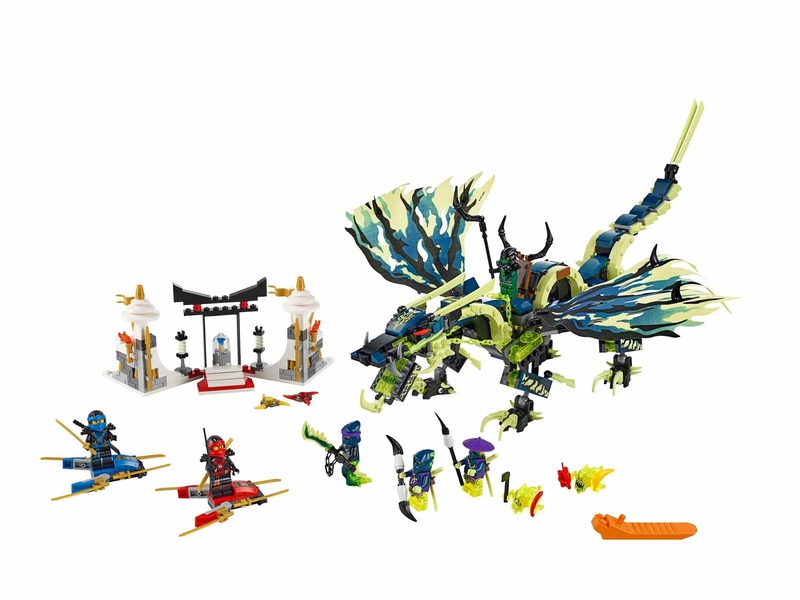 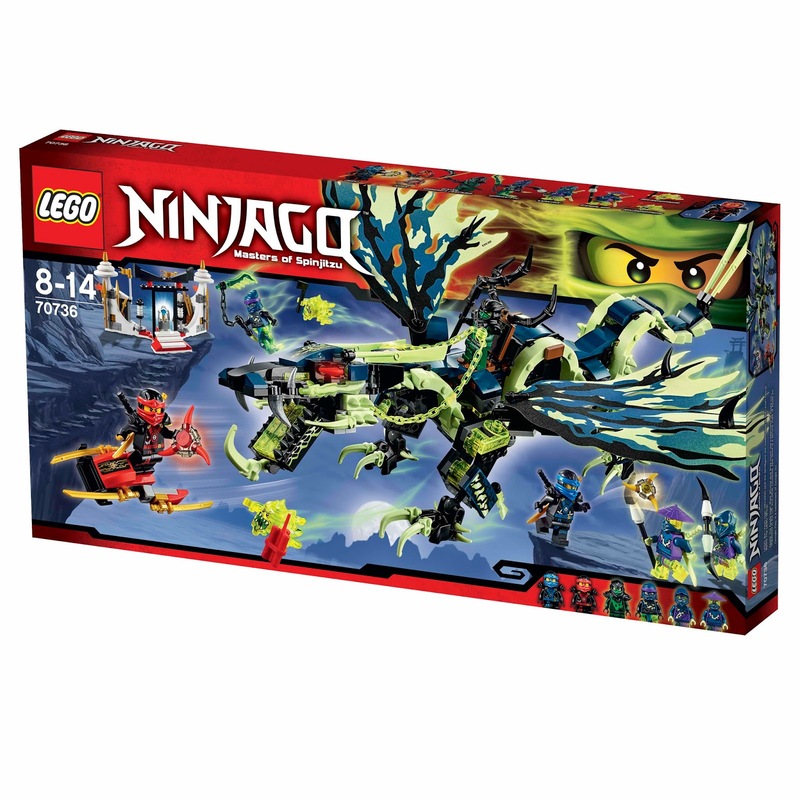 minifigs included a kai minifig, a jay minifig, an evil green ninja minifig, a chain master wrayth minifig, a ghost warrior cowler minifig and a ghost warrior yokai minifig.